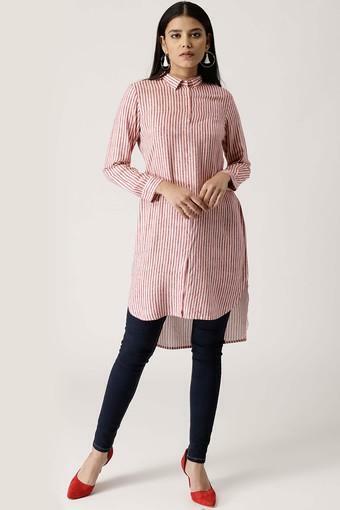 Look simple yet stylish by wearing this shirt style kurta from the house of Libas. 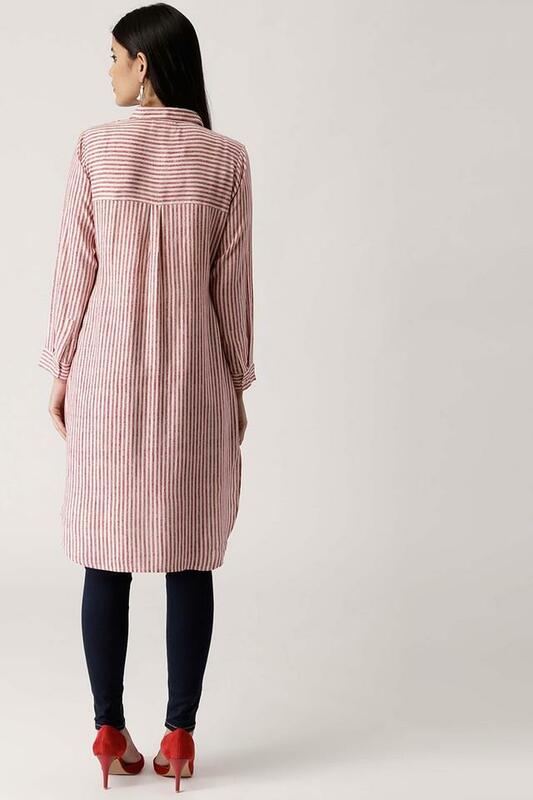 Tailored with rayon fabric, it promises to keep you at ease all day long while also ensuring easy maintenance. 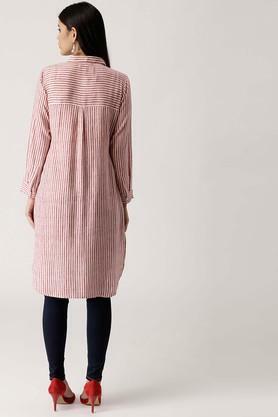 Besides, it sports a striped pattern, collar and full sleeves that lends it a classy appeal. If you prefer wearing ethnic wear, then check out this kurta. 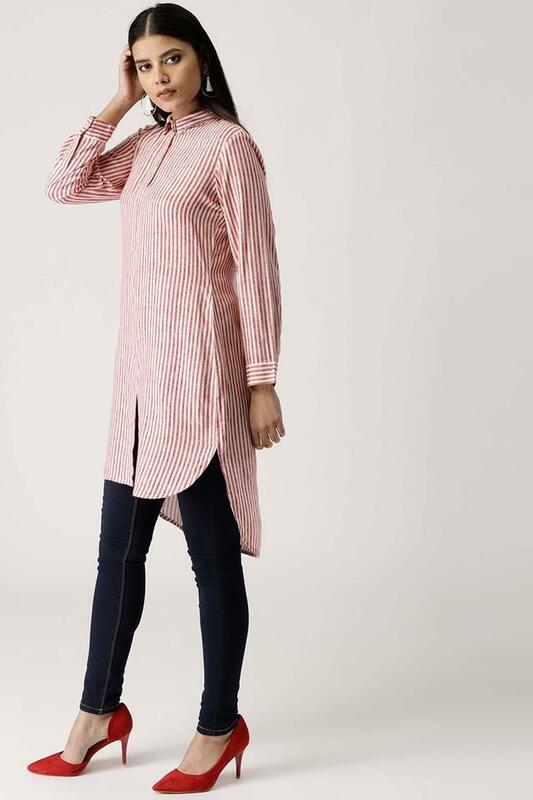 Pair this kurta with a pair of simple salwar and contrast colour slip-on sandals.